With both Rage 2 and Fallout 76 announced before E3 started, I was doubtful Bethesda could pull off a surprise for its 2018 press conference. After all, we knew some sort of Prey *thing* was on the way too—that's been teased for months. 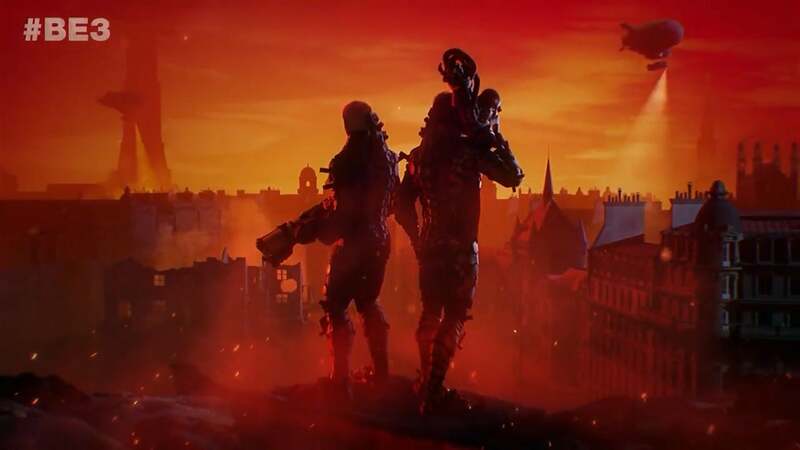 But Bethesda managed it nevertheless, announcing both Doom Eternal and Wolfenstein: Youngblood even before it settled into divulging a raft of Fallout 76 details. And then it dove into Starfield and Elder Scrolls VI—two games that have been being buzzed about for years. Read on for our highlights from the night. It might've been leaked by Canadian Wal-Mart, but Bethesda had a lot more to tell us about Rage 2 during its press conference. 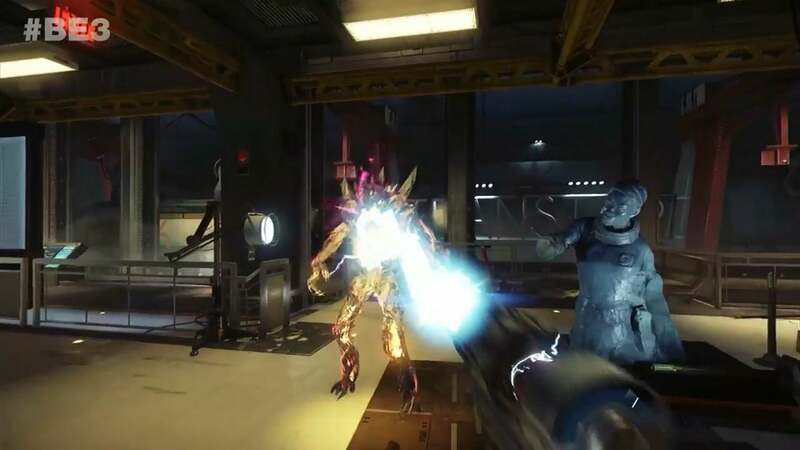 "An extended look at the world and gameplay," as Bethesda's Tim Willits said, with a demo of the game available to play at the company’s E3. First of all, it looks fantastic. I know the original Rage touted id Tech 5 at a time when that was new, and it looked pretty great. Some of the shots in this trailer are stunning though. But other than that? It looks a lot like Avalanche's Mad Max game from a few years ago, mixed in with Doom's super-agile shooting. 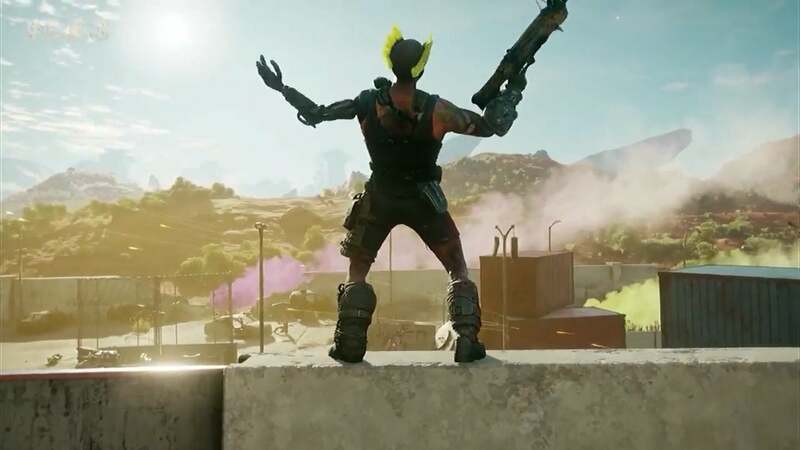 That's...one hell of a combo, and I wouldn't be surprised if this was shopped around as a Mad Max sequel before Bethesda picked it up and converted it to Rage 2, mixing a bit of id's gun knowledge in for good measure. I'm still not 100 percent sold on a new Rage—I found the first dreadfully boring. Tonight's presentation piqued my interest though. I mean, again: Doom plus Mad Max? That's at least worth paying some attention to. Look for it in spring 2019. Next, Bethesda touted its new Elder Scrolls Online: Summerset expansion ($40 on Humble), which launched recently. Rather than regurgitating Bethesda's PR-speak, here's our review. The next DLC to come out will be called Wolfhunter, based on werewolves, and a story DLC called Murkmire later this year will delve deeper into Argonian culture. The Elder Scrolls: Legends card game is relaunching later this year with a new look and feel, too. Bethesda is also bringing a version of Elder Scrolls proper to mobile devices, dubbed Elder Scrolls: Blades. The free game includes a rogue-like endless dungeon mode called the Abyss, a 1 vs. 1 multiplayer Arena, and a Town mode that serves as the main game. You'll be able to wander around the town, upgrading it as your adventures progress, along with your character. Bethesda wants to bring Blades to "every device and system we can," Todd Howard said, including phones, PCs, consoles, and even VR when it launches later this year. 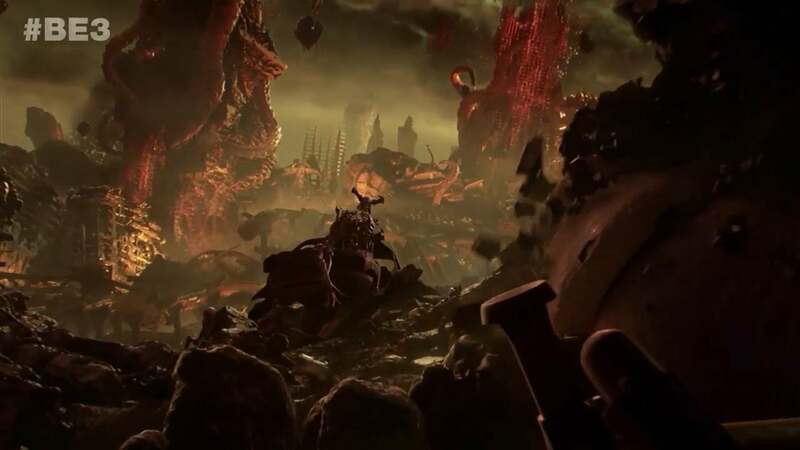 And hey, the first surprise of the night, Doom: Eternal. It's only been two years since id finally got that Doom reboot out, but I've been hankering for a new one ever since. It was so damn fun. Not much for us to talk about yet, with most details set to emerge at QuakeCon this summer. There's a teaser though, and if that guitar chug doesn't get your blood pumping I don't know what will. Hopefully this one focuses on what made 2016's Doom so great, a.k.a. the singleplayer campaign, and doesn't bother shoehorning in a half-baked multiplayer mode—which, disturbingly, consumed all of id’s post-launch efforts for the reboot. "Infinitely replayable." That's the gimmick behind the new Prey DLC, Mooncrash. The trailer makes it look almost like a Prey roguelike, with you attempting to escape the moon over and over. Death means starting over from scratch, with (I assume) all the enemies and weapons randomized. And get this: It's releasing tonight. There's also a new asymmetric multiplayer mode coming, "Typhon Hunter." One player has to hunt down five others, all of which are mimics with the power to disguise themselves as random objects. It sounds like a great setup for giggly jump-scares—and it will be available in VR when it releases later this summer. Wolfenstein: The New Order got a standalone expansion about a year after release, Old Blood, but I hadn't hoped to see similar for Wolfenstein II, one of 2017's best games. Luckily Machine Games had my back though, with Wolfenstein: Youngblood. Flashing forward in time to the alt-history 1980s, the stars this time are BJ Blazkowicz's twin daughters. And yes, since they're twins, the entire campaign can be played co-op with a friend. Can't wait. But that's not all. Bethesda's making a Wolfenstein VR game too, called Wolfenstein: Cyberpilot. That's about all we know at the moment, as there wasn't even a trailer on display. Look out for more details soon though, I'm sure. "Four times the size of Fallout 4." Todd Howard trotted out that stat at Microsoft's press conference this afternoon, and then again at Bethesda's. It's a pretty meaningless metric, but does give an idea of Bethesda's ambitions here. 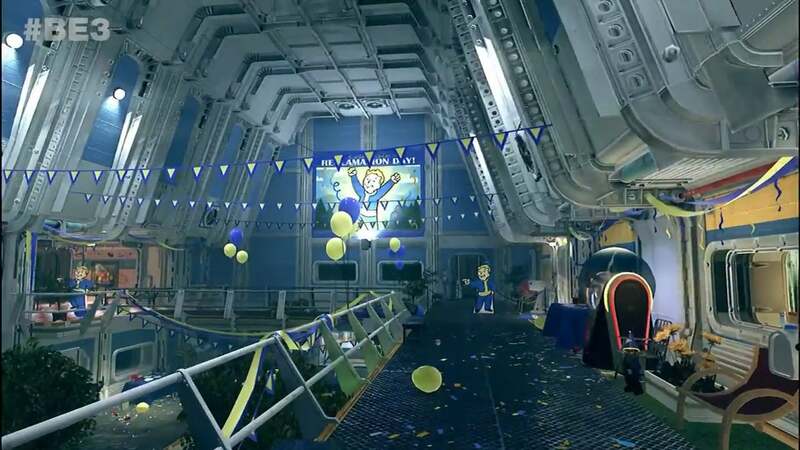 We also got an extended look at Vault 76, a much more pristine-looking vault than any we've had the pleasure of occupying before. And why not? It's one of the first vaults to open, so things are actually kind of intact, at least inside. Once outside, of course, the post-apocalypse is about as apocalyptic as ever. Expect lots of terrifying new creatures, some drawn from West Virginia's folklore. Also: Your fellow humans. This is the big "surprise," though Kotaku did report on it shortly after the Fallout 76 reveal. It's a singleplayer experience, sort of—you can play it alone, going on quests and developing your character. But it's also a multiplayer experience, full of other players wandering the wasteland. According to Todd Howard, "You can join your friends whenever you want, and all your progression goes with you." The trailer shows both co-op and competitive play, though personally I'm hoping I can simply opt out of PvP. Also interesting: The settlement system is returning, bigger than last time. You can now build wherever you'd like, thanks to the new "C.A.M.P." mobile base, then pick up and relocate wherever you'd like. 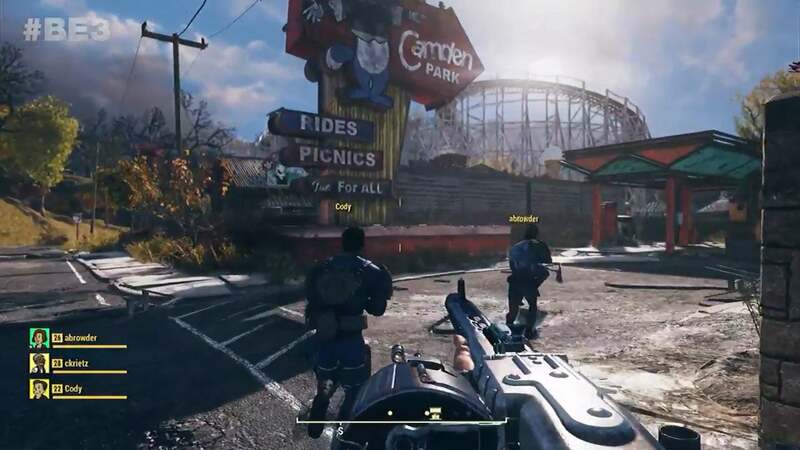 Overall it looks like a bigger, more ambitious Fallout 4, and on a mechanical level, it looks great. The real question, I guess, is whether Bethesda can make the writing and plot more engaging this time around. We'll know soon, I guess. Fallout 76 is also going to have a beta—or a “Break it Early Test Application,” in Vault-Tec parlance—for people who preorder ahead of a November 14 launch. 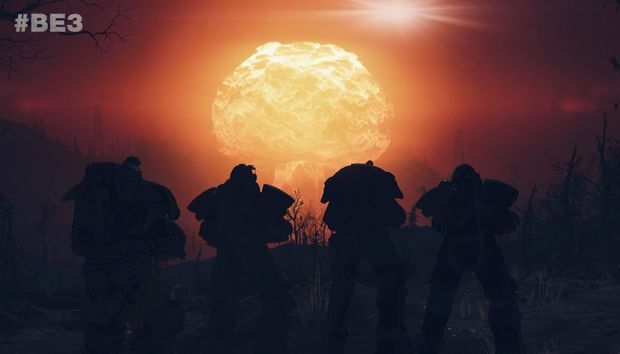 But as big as Fallout 76 is, it didn't close out Bethesda's event. 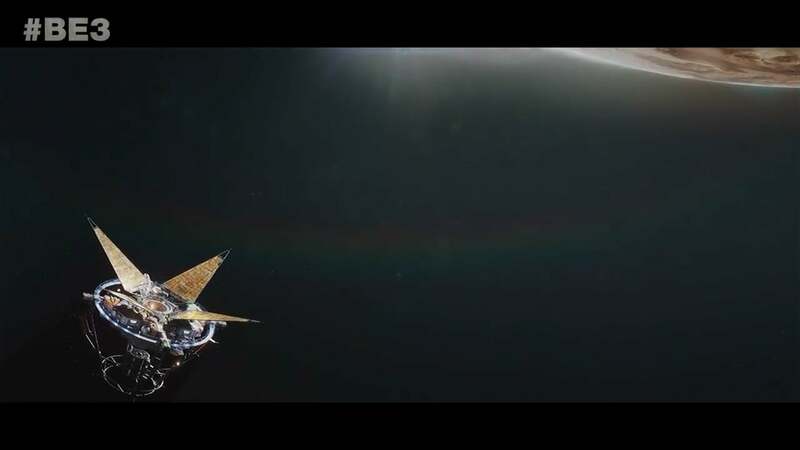 First, we got Starfield. Finally. We've been hearing rumors about this project for years now, and it's been hypothesized as code for everything from Fallout 76 to Rage 2 to that Prey DLC. Not much to go on yet, except that it's Bethesda's first new IP in 25 years, and it's going to space. 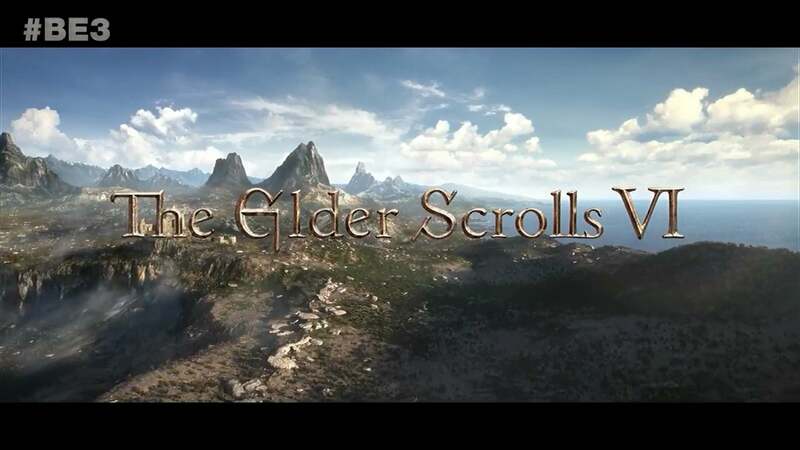 And then we got an even briefer tease for Elder Scrolls VI. No really, like the briefest possible tease you could imagine. "Here's a landscape, here's a title splash, and we're out in five seconds." No idea when that'll arrive, but at least you know Bethesda's working on it (as if it were ever in doubt). Maybe we'll find out more next year. I sure hope so.